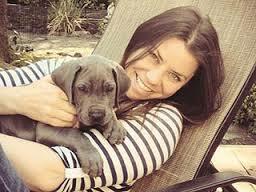 On November 1, Brittany Maynard, 29, slipped into eternity, choosing to end her ordeal with terminal brain cancer under Oregon’s Death with Dignity Act. Hopefully, her heroic efforts on behalf of the rights of terminally ill patients will initiate renewed focus in other states. Unfortunately, Brittany had to move to Oregon to realize her choice. Accordingly, I can’t help but think that the right to die with dignity is our last foremost civil rights barrier. For that reason, I chose to vote Green in the 2012 election and will do so again. My compassion for those who suffer demands this. The Green Party includes such legislation in its platform. There are many who oppose such legislation, even doctors, who espouse the Hippocratic oath with its rejoinder, ” I will do no harm.” Oddly, they don’t object to termination of life support in scenarios of brain death. The Oregon distinction is that patients, fully conscious, make their own decision in cases of terminal illness prognosing death within six months, with the proviso they are state residents and obtain a physician’s prescription for a lethal dose of medication. The biggest obstacle to progressive, compassionate reform comes from religious interests, who view God as the proper author of life and death, though I’ve found many among them committed to retaining the death penalty option for heinous crimes. None of this surprises me, given the sorry, bloody legacy of religion in history and the troubled landscape of today. Much of religion forecloses on free choice, so fundamental to a democratic society. Unfortunately, there are also those who shackle their potential for empathy with buzz words like “suicide,” and “cowardice,” vestiges of cultural conditioning rather than reasoned judgment. I actually find the Oregon law, now mirrored in Washington and Vermont, and by default in New Mexico and Montana, still circumscribed by these same interests. I believe undue suffering should also allow an individual to choose when to exit with dignity apart from terminal illness. We now live in a time when medical progress has extended life past former norms, howbeit, at the cost of progressive morbidity like Parkinson’s and Alzheimer’s, along with decreased coronary and kidney function. I remember reading about British author Somerset Maugham, in his ninth decade, confined to a wheel chair and nearly totally blind, longing to die. I place no premium on the nobility of gratuitous suffering. Further, it’s easy to make shallow judgments when you don’t enter into the shadow of someone’s suffering. I was surprised the other day to come upon a doctor in PubMed who has foresworn medical treatment for himself after age 75, finding it more preferable to die than live in prolonged decline and its inevitable forfeiture of quality of life. Something to think about, though unpleasant, given the alternatives. This entry was posted in Health, Reflections and tagged Brittany Maynard, Death with Dignity Act, Oregon, terminal illness. Bookmark the permalink. Thinking about making death as positive as birth is important. And part of that is recognizing that some deaths are destined to be harder than others and they no one gains by painful, protracted deaths.